Just like preventative maintenance is needed for your vehicle’s engine in the way of oil changes, your vehicle’s paint and interior also need preventative maintenance. A regular full auto detail is a great way to maintain the exterior of your vehicle by providing protection to the paint from UV rays, acid rain, iron fallout (train debris, brakes), bird droppings, and other environmental pollutants as well as refresh your vehicle’s interior. Paint Correction will remove light scratches from auto car washes and other defects. Condition of paint will be noticeably brighter, have improved shine on the finish. We apply a leading german sealant to provide a protective layer from water and dirt. Paint sealant application is included with paint correction services. If you wish for a more superior, longer lasting protection, we can discuss ceramic coating packages. Includes a thorough 3 step decontamination wash. Paint Correction will remove medium scratches from auto car washes etc, paint rub off, water spotting, and other defects. Condition of paint will be transformed; brighter, deep shine near flawless. We apply a leading german sealant to provide a protective layer from water and dirt. Paint Correction will remove heavy swirling and scratches from auto car washes etc, paint rub off, water spotting, & other defects. Condition of paint will be transformed; brighter, deep shine near flawless. We apply a leading german sealant to provide a protective layer from water & dirt. We are proud to offer some of the most premium waxes available from Switzerland so please inquire if you are looking for something extra special. 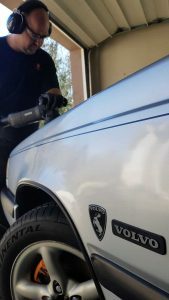 Sealant applied to wheels, chrome, and exterior plastics. Paint Correction, also known as machine polishing, can truly enhance and maintain your car’s appearance. I have been doing paint correction on vehicles since I began apprenticing as an Auto Technician in Switzerland in 2003. 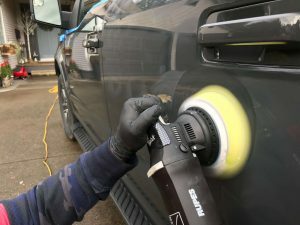 In most circumstances, when enough clear coat paint remains on the vehicle, any age or condition of paint can be improved or refined to the highest standard. Based on the condition of your car’s paint, different levels of correction can be performed ranging from wet sanding to extra fine polishing steps. 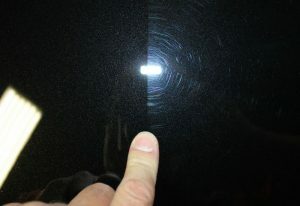 Paint Correction can remove any water spots, light scratches, and finishing polish defects such as swirl marks or haze. Paint sealant application is automatically included with paint correction services. If you wish for a more superior, longer lasting protection, we can discuss ceramic coating (12-24 months protection with maintenance) or multi stage sealant and wax application (12 months protection with maintenance). We are proud to offer some of the most premium and exclusive waxes available so please inquire if you are looking for something extra special.